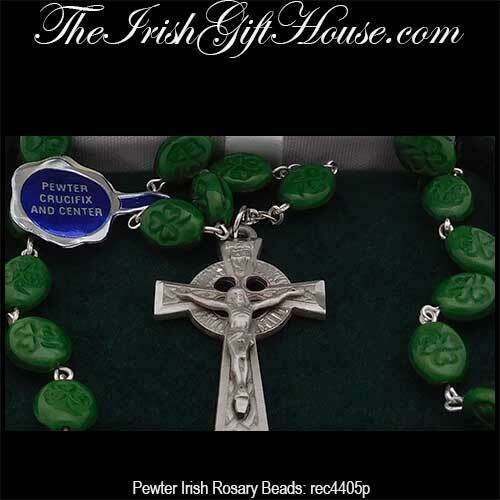 This Irish rosary features green shamrock beads along with a pewter crucifix, center and links. These Irish rosary beads are complete with a Trinity knot embossed Celtic crucifix and a center that are cast of pewter. This Irish rosary features green epoxy beads with shamrocks and it is 5 decade long. 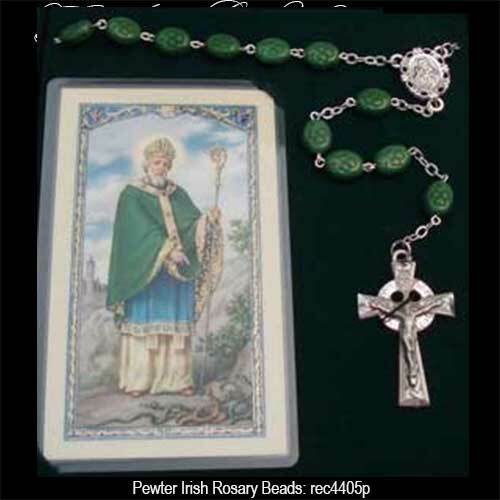 The Irish rosary is made in the United States and it is gift boxed with a St. Patrick prayer card along with shamrock, Celtic knot and Celtic cross history card, complements of The Irish Gift House.